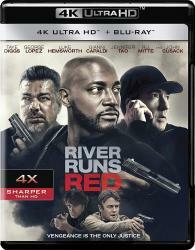 Taye Diggs, George Lopez and John Cusack star in this action-packed battle for revenge at any price. Respected Judge Charles Coleman (Taye Diggs) and his wife have devoted their lives to law enforcement. The two are thrilled when their son is accepted into the police academy, but everything changes when he is shot by two corrupt cops (Luke Hemsworth and Gianni Capaldi) and the official investigation finds no wrongdoing. After his trusted friend detective Horace (John Cusack) finds evidence to the contrary, Charles joins forces with an anguished mechanic (George Lopez) whose son was killed by the same cops and together they take the law into their own hands. R.J. Mitte also stars in this gritty, intense thriller.